On the way to Hebron information will be given about the settlements in the area, bypass-roads, travel restrictions into Jerusalem and other political issues (for instance, just outside the city are two refugee camps – Al-Fawwar and Arroub – which are home to over 12,000 refugees). In the Hebron district, there are 27 Israeli settlements that have caused many violent confrontations with the local Palestinian population. 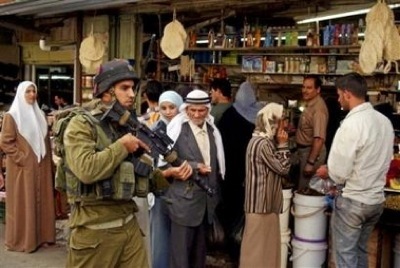 In Hebron itself, the tour includes the division of the city (“H1” and “H2”), a visit of the Ibrahimi Mosque and a walk through the market and the Old City, where some 400 settlers live, protected by many more Israeli soldiers, among over 150,000 Palestinians. Jewish settlement enclaves inside the Old City include Bet Hadassah, Tel Rumeideh, Bet Romano, Abino Abraham, and the military compound. The tour will also stop at one of the city’s famous glass and/or pottery factories (with opportunities to shop). Hebron (Arabic: Al-Khalil Ar-Rahman), located some 36 km south of Jerusalem, is the largest West Bank city with some 160,000 Palestinian residents. It is famous for its industries and for its vineyards and grapes. 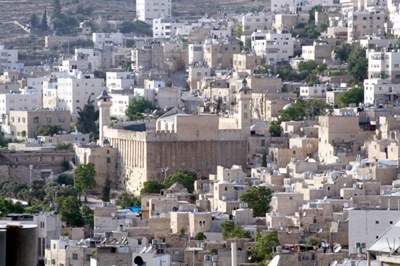 Hebron is one of the oldest continuously inhabited cities in the world. Canaanite Arabs came to this area around 3000 B.C. 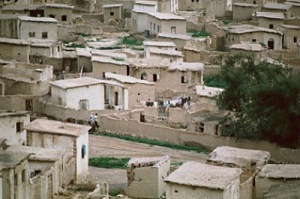 The Canaaites were visited by the Prophet Ibrahim (Abraham) about 1900 B.C., when he came to dwell in the city. The city was destined to contain his remains, and those of his family, Sara, Isaac, Rebkah, Jacob and Leah. Legend has it also that Adam and Eve are also buried here. The location of their tombs was the reason that Hebron became the second holiest place in Palestine for Muslims. 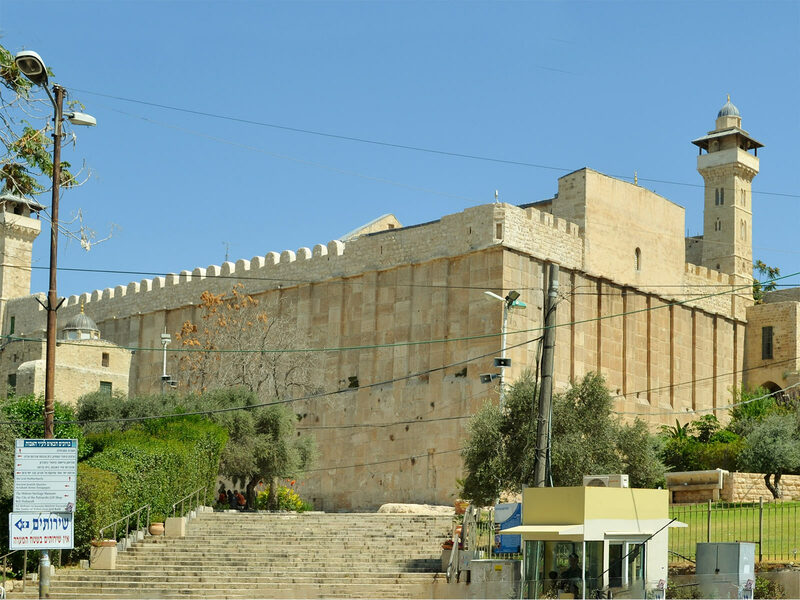 Throughout the centuries, the city of Hebron was a constant target for Persian and Roman invaders until the Islamic conquest during which the city prospered and Muslim emirs and caliphs showed unwavering concern for the city. 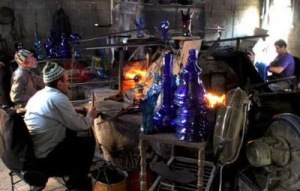 The ancient architecture of the old city, which goes back to the Mamluk and Ottoman periods, witnesses to the development and sophistication of the city of Hebron. Like all West Bank cities, the city of Hebron fell under the British Mandate until 1948 and was then ruled by Jordan. Since 1967, the city has been occupied by Israel, which soon began constructing settlements in and around the city. The first Jewish settlers, who acted as Swiss tourists, occupied Park Hotel in downtown Hebron in 1968. The group was led by Moshe Levinger, one of the leaders of the settler movement Gush Emunim, and began occupying apartments by force, which later became the first enclaves of Jewish settlements in the city. Upon the advent of the Palestinian Authority, the Israeli army redeployed in the city of Hebron but the Israeli government insisted, as part of the 1995 Oslo II Agreement, on keeping the Al-Shuhada’a Street and the old vegetable market, and close the central bus station in the heart of the old city. In 1997, the PLO and the Israeli government signed the so-called Hebron Agreement which has divided the city into Palestinian-administered H1 (80%) and Israeli-controlled H2 (20%, incl. the Old City, Ibrahimi Mosque and the settlement enclaves). With around 450 extremist settlers living among tens of thousands of Palestinians in several enclaves in the center of the city, Hebron remains a point of frequent frictions. Two outside observer groups are currently present: the Temporary International Presence in Hebron (TIPH) and the church-related Christian Peacemaker Teams (CPT).